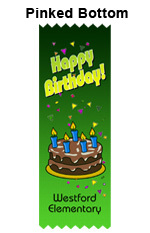 Create vibrant ribbons with your message. The ribbons are pinked top and bottom and may be attached to name tags with your double sided tape, used as a bookmark, or a meeting agenda. Our professional designers are available to help create the perfect ribbon. 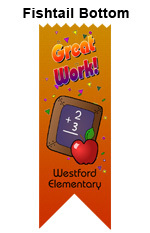 Ribbons are 2 x 6 inches or 2 x 8 inches pinked on the top and bottom and have a string hanger. 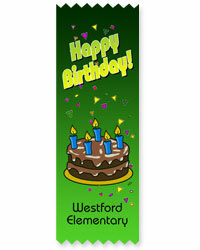 Full color ribbons may include gradients, blends and photographic images. All ribbons will be the same.